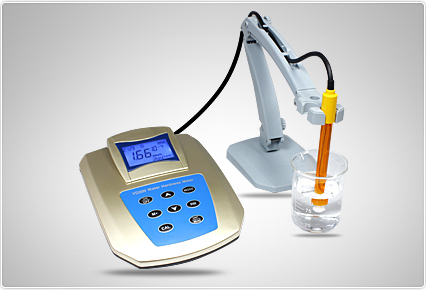 (b) Calibration―using B2 and B3 Calibration Solution, suitable for general water quality. serial number of measuring value, measuring value, units, temperature, ATC or MTC, date, time and calibration way. (a)B1/B2 Calibration―using B1 and B2 Calibration Solution，suitable for < 2.00*10-2 mmol/L low concentration water quality, for example, boiler water. 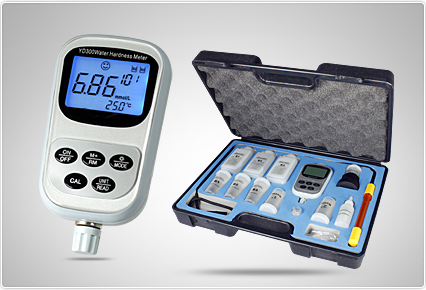 • Professional portable water hardness meter is equipped with a large backlit LCD display. • 2 to 5 points calibration from low to high concentrations. • Selectable multiple water hardness units, including the mmol/L, mg/L(CaCO3), mg/L(CaO), mmol/L(Boiler), mg/L(Ca), French degree, German degree and English degree. • Automatic Temperature Compensation provides accurate reading over the entire range. • Calibration Due Reminder prompts user to calibrate the meter regularly. • Stability indicator automatically shows current measurement status. • Auto-Hold function freezes stable reading for easy viewing and recording. • Manual temperature calibration improves the measurement accuracy of meter. • Help message as a operational guide that helps you quickly begin using the meter. • System menu can be used to set 7 parameters, including the number of calibration points, stability condition, hold function, auto-power off, etc. • Reset feature automatically resumes all parameters back to factory default settings. • Expanded memory stores and recalls up to 500 readings. • Built-in real-time clock stamps stored data to meet GLP standard. • Stored data can be transferred into computer by USB communication interface. • Multi-mode power scheme (battery, power adapter, computer's USB port) ensures that use the meter smoothly. 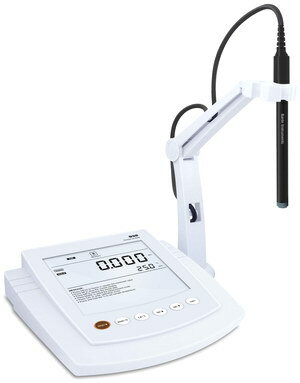 • Professional benchtop water hardness meter is equipped with a large backlit LCD display. • Automatic electrode diagnosis shows the slope of sensor.